Credit is finally going where it’s due. 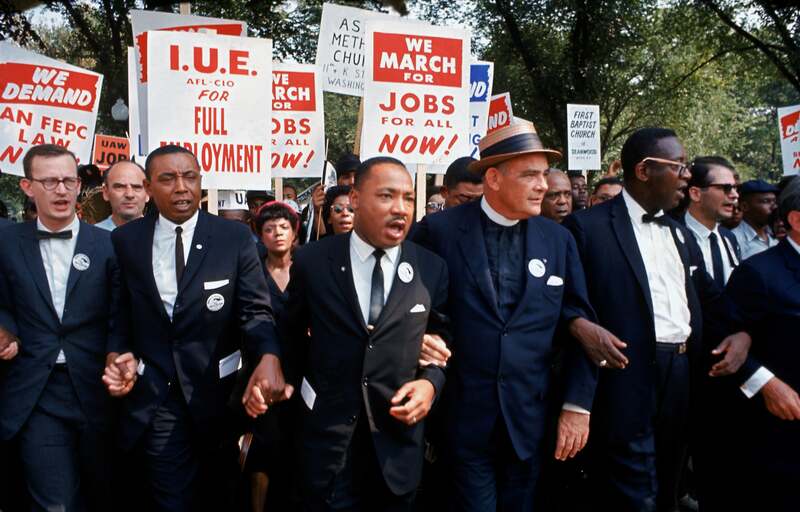 The song “We Shall Overcome” has left an indelible mark on American culture. Part gospel hymn, part protest anthem of the civil rights movement, the origin of the song had been in doubt, until recently. Published in 1947 as “We Will Overcome” in the People’s Songs, the tune had been attributed to folk singer Pete Seeger, who heard Black tobacco workers singing a similar tune during a strike in the 1940s. Though Seeger never claimed to write it, many credited him for bringing it forward and turning it into one of the most popular theme songs during the protests in the 1960s. Others have linked the origins of “We Shall Overcome” to a Reverend Charles Albert Tindle, a Methodist minister who published a song called in 1901 called “I’ll Overcome Someday,” and to formerly enslaved workers who would often sing of overcoming while they worked. While there may have been several influences, the lyrics of Louise Shropshire’s song, “If My Jesus Wills” closely mirrors the words in “We Shall Overcome” and is likely the source of the tune we’re familiar with today. Shropshire and her husband Robert were deeply involved in the civil rights movement. Dr. Martin Luther King Jr. even stayed at the couple’s home in Cincinnati when he visited the city and couldn’t find a hotel room. In fact, the couple would have Dr. King over to their house on several occasions and Shropshire would often play music on her piano. In January, a court ruled that “We Shall Overcome” should be part of the public domain, and thus available to all to use for free. Shropshire’s grandson, Robert A. Goins Shropshire, told WSBTV that his grandmother’s biggest wish was that her music would be spread far and wide. “Someday, somebody’s gonna do somethin’ with all my music,” she told him before she passed away in 1993. Robert A. Goins Shropshire said his grandmother would be pleased with the ruling, which not only means everyone will have access to “We Shall Overcome” but also clears the way for her to receive proper credit for her work.